The quest for comfy and cute riding shirts is never ending. Not because they’re hard to find, but because you can never have enough. I love a good sun shirt, but a casual, tucked-in tee can be just as professional looking and twice as comfy. I had the chance to test two tops from the well known magazine The Plaid Horse‘s “TPH Gear” line—a tee and a sweatshirt—and can verify that they are both comfy and cute in or out of the saddle. I am a lover of all things cozy, so I was first drawn to The Plaid Horse Sweatshirt and it didn’t let me down. Made of a soft, knit fabric with a fleece-y inside and plenty of stretch, this sweatshirt is a riding staple—it feels like you’re wearing your favorite blanket. This sweatshirt is perfect for those chilly horse show mornings or paired with a vest when the temperatures drop—I’ve tried both and have been toasty warm. 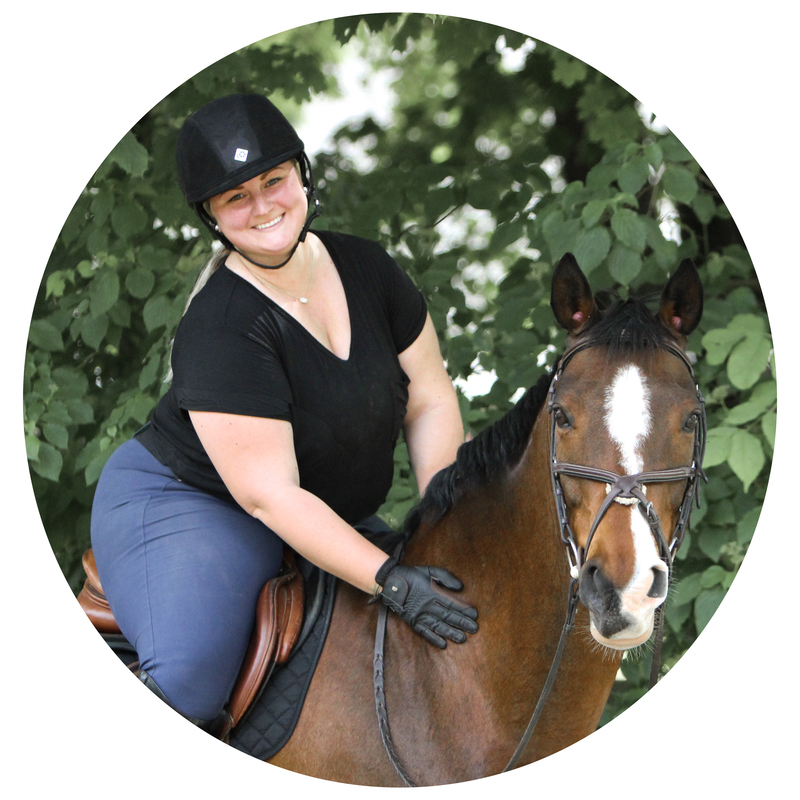 It fits true to size with a slightly relaxed fit (that won’t show that burrito you ate before heading to the barn) while still being flattering and stretchy enough to stay tucked into your breeches no matter how much you move. The dark grey color is perfect for the barn and hides any dirt or horse snots, which you can appreciate if you’ve got a slobbery horse like I do. The TPH logo is bold on the chest and set into the fabric; no cheapy screen-printing here. My one downside to this cozy sweatshirt is that the fabric seems to snag easily, which isn’t exactly barn-friendly. While I’ve never snagged it at the barn, there is a pull on the arm where I caught it on my truck toolbox. This was easily fixed by lightly tugging the sides of the snag to pull the thread back in place and you can’t tell it ever happened. The other top I tried was The Plaid Horse Unisex Tee in merlot. First off, this color is beautiful and I am in love—it’s perfect for fall. Unlike most t-shirts, this tee is made of an extra soft cotton that feels like it’s already been washed (in a good way) and is lightweight to makes warm weather riding a breeze. The unisex fit makes this tee comfortable for riding without being skin tight or a floopy mess and fits true to size. I found the sleeves to be a little longer than I preferred (as they typically are in a unisex fit shirt) but they are easily rolled shorter. Just like the sweatshirt, the screen-printed logo has stayed put through multiple washings with no signs of wearing off anytime soon. If you’re a The Plaid Horse fan, then these tops need to find their way into your closet right alongside your favorite breeches. And if you’re struggling on which top to choose, my vote is with the ultra-cozy sweatshirt. A huge thank you to The Plaid Horse for sending me these tops!